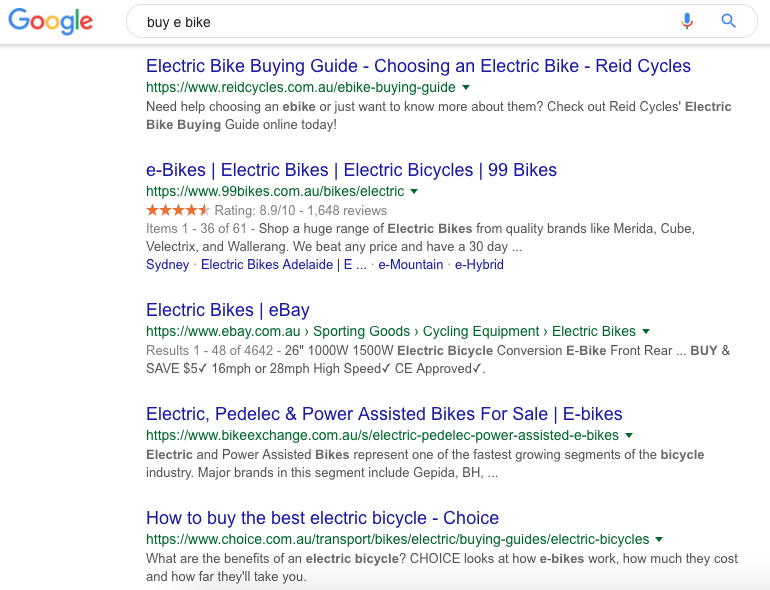 Google’s search engine is getting more and more sophisticated when it comes to measuring how closely a page matches intent, so here are our tips on how to build a better strategy for it. Google is always updating their algorithms and there are constant innovations in the way we search (mobile, voice, etc), that and the evolving user behavior keep all of us SEO guys on our toes. The dynamic nature of the industry requires us to continuously improve and learn new skills to keep ahead, or even just keep up for that matter. However, we can’t get to carried away worrying and chasing new strategies that we forget or overlook the fundamentals of SEO. 1. Should your site or page rank there? 2. What will we achieve by ranking for these? 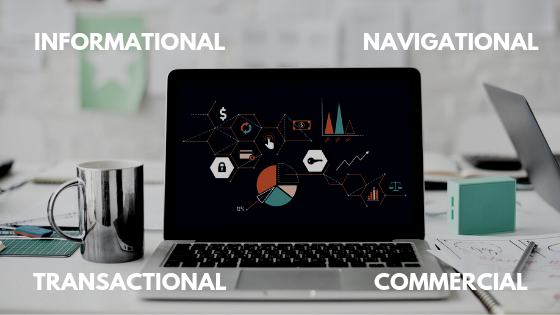 This forces us, and our clients to analyse the audience and search behaviors before deciding on which keywords we are going to implement in the SEO strategy. Categorising queries into these four segments will help you better understand what types of pages searchers are looking for. People making informational searches are generally looking to learn about a certain subject or topic. These are the most common types of searches and usually, bring the most amount of search volume. Informational searches also are a great way for your business to be found by a new audience. If you can provide these searchers with an answer to their question, you have a very good chance that they will turn to you in the future on a similar topic. Transactional SERPs are typically 100 percent commercial pages (products, services and subscription pages or lead capturing pages). 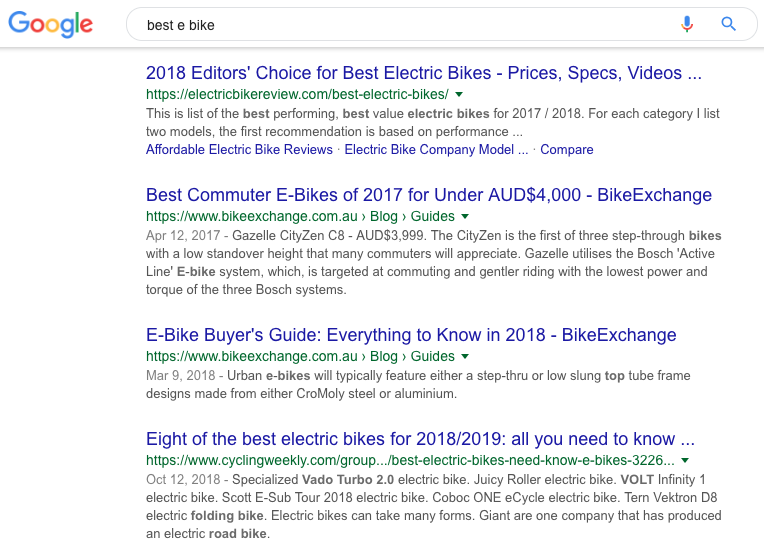 Categorising keywords and search terms in these four areas makes it easier to optimise the landing page, understanding what searchers want and ensuring the information you are providing is relevant. Optimising for intent: Should my page rank there? With a clear understanding of the different types of intent, we can dive into optimisation. Once you have had a look into the given search term and find that all of the results are in-depth articles and blogs, the chances of you ranking your product page are just about none. The opposite is also true if all the results are product pages, then don’t bother trying to rank an article. But what you can do, is optimise your pages to start showing up for the appropriate search terms now that you have gathered the necessary data. Google always has the user first in mind, and will always (or do its best to) show pages that answer the searchers intent. So you want to make sure that you have optimised your page to help the searchers achieve whatever it is that they wanted to when they made that search. On-page optimisation and backlinks are important, but you’ll never be able to rank high if you don’t address intent. Doing this research will also help inform content creators on what topics to write about. If you don’t have pages for your industries major topics, with comparable content to your competitors. You need to create one. While doing this research you will find a few opportunities where the current search results don’t do a great job of answering the searchers intent. You can easily capitalise on this and create that piece of content they are looking for. The simple answer we typically get is “more traffic.” But what does that really mean? Depending on the intent associated with the given keyword, that traffic could lead to brand discovery, authority and trust building, or even direct conversion. When assigning KPI’s you need to consider intent and set your expectations accordingly. One thing to keep in mind is that not all traffic has to convert. A balanced SEO strategy will target multiple stages of the buying journey. Building brand image is essential to any business success and we have seen it impacting click-through rates by 200% – 300%! 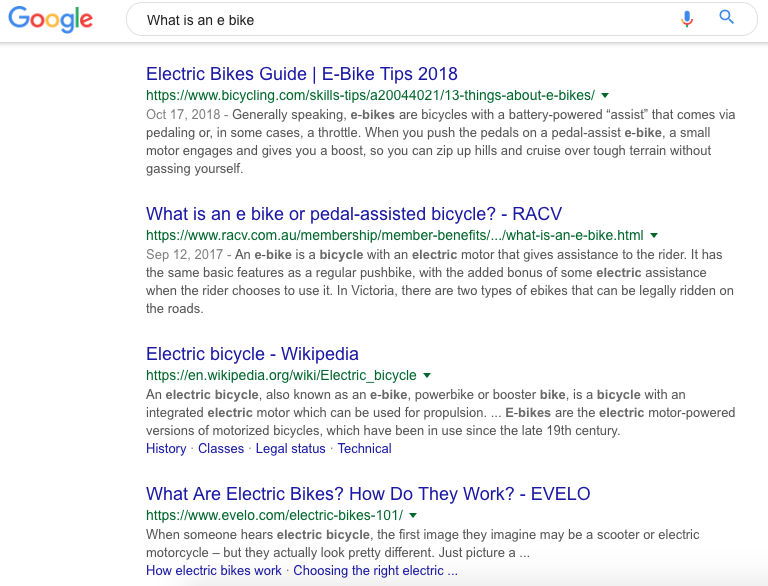 Now that we know that answering search intent is a vital piece of the SEO puzzle, you need to make sure you use this knowledge to better your strategy. 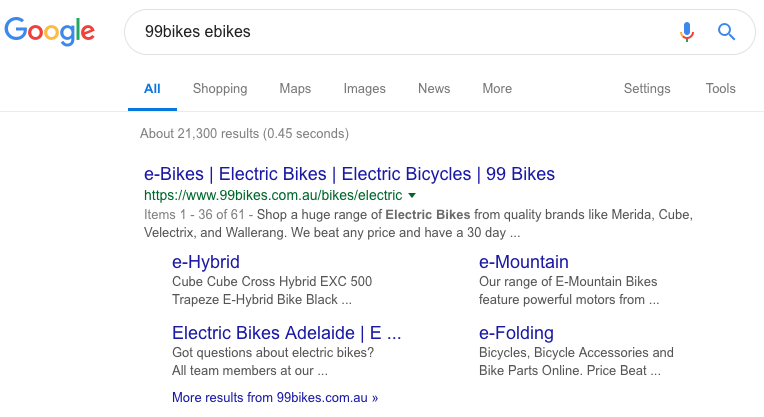 So start researching what people are searching for in relation to the business, make a list of the top 10 results and put them into their designated intent category. Whichever category comes out on top, make a piece of content or structure your page to reflect that certain intent.